The victory of Syriza in Greece is an important moment.1 Indeed, I think it is going to be a historic turning point for Europe and the world, for better or for worse. 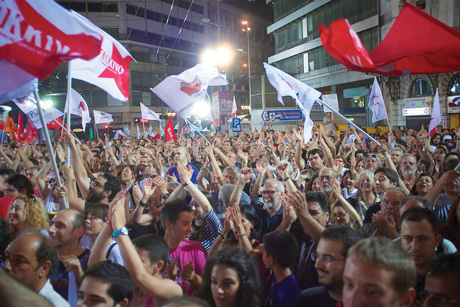 Syriza defines itself explicitly as “as a party of the democratic and radical Left,” and radical it is. 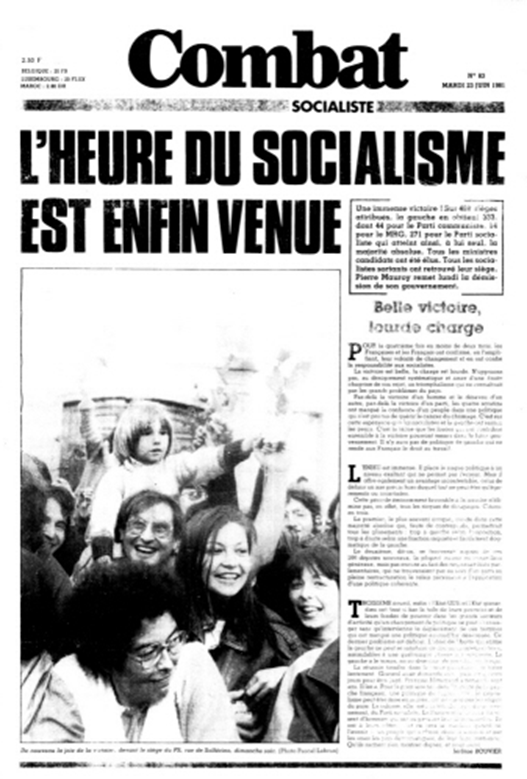 It’s comprised of “many different ideological currents and left cultures,” “has its roots in popular struggles for Greek independence, democracy and labour and anti-fascist movements,” and includes serious and influential socialist, marxist, and generally anti-capitalist currents.2 As Catarina Príncipe remarks: “The success of Syriza is the success of the Left that refused compromises with liberalism.”3 Thus the rise of Syriza corresponds to the collapse of Pasok [acronym for Panhellenic Socialist Movement], the Greek “Socialist”–i.e., liberal capitalist—party, which went from the largest party in Greece to 13% of the vote (2.6% among 18-24 year olds). It’s a sudden and dramatic shift of working-class voters to the left. To put this in American terms, imagine the Green Party winning the next election, with the Democrats reduced to 20% of the vote. In their 40-point program, Syriza quipped that “The exit from the crisis is on the left.” But there is what looks like an exit on the right also–Marine Le Pen is turning the knob–and the battered working classes might well take it if the door on the left is never opened. To be fair, we have to recognize that there is no good choice for Syriza or for Greece. Defying the Troika (the European Commission, the IMF, and the European Central Bank), rejecting its financial diktats, means bringing the full wrath of international capital down upon Greece. Proclaiming that you will refuse to pay unpayable debts, take more “extend and pretend”” loans, or enforce austerity and privatization policies, means nothing if it is not backed by a willingness to defiantly exit, or accept being rudely ejected from, the Eurozone, if that’s what it takes. Such an outcome–the dreaded “Grexit”–will bring enormous pain to the Greek people. It may well, in the short run, be at least as bad as the austerity policies. So, sure, we have to give the Syriza leadership some room to obfuscate, dissemble, defer, and ambiguify with their various powerful interlocutors. The economics are, as always, the politics as well. The problems of Syriza, Greece, the Euro, Ukraine, bailouts, austerity, and civil war are all the same capitalist crisis–today’s version of the generalized crisis that the capitalist system recurrently and inevitably engenders, throwing the world into chaos and war. Thus, what happens in Greece is a matter of geo-strategic significance for the masters, and the minions, of that system. Patrick L. Smith puts it nicely: ”It is not about a logical way out of the euro-crisis, which is perfectly possible. It is about the neoliberal war against alternative thought and the elevation of the market above all other values, including democratic process and ordinary decency. The commanding generals in this case are headquartered in Brussels, Frankfurt and Berlin.”16 Nobody, not even Syrizaman can “force Europe to change” by force of argument. Greece’s new government is backtracking on its plans for Greece’s ports, according to The Wall Street Journal. Syriza, which won Greece’s election in late January, had promised to stall the Port of Piraeus’ privatisation, but it will now go ahead.